The skin may become sensitive due to various reasons and at every stage of one’s life. This happens when the skin integrity is somewhat damaged and its’ barrier function does not work properly, which makes the skin very sensitive to external factors, such as bacteria, chemical substances, allergies etc. The symptoms may affect the facial skin, the body skin or the scalp and may cause swelling and may lead to dramatic physical discomfort. Sensitive skin may often be very unpredictable so the least you can do in order to protect its’ health is to provide the most appropriate treatment. Luckily, nowadays there are various products, which are very effective. The list below will show you the products that have proven the most suitable for sensitive skin treatment with all the important positive and negative features (based on customer reviews). This lotion is appropriate for both sexes, which is extremely important since skin sensitivity does not depend on whether you are a male or a female. Another important positive feature is that the lotion absorbs very well and you only need a small amount when applying it. You should note that the product is not fragrance-free, although it is designed for sensitive skin type. If you are very smell sensitive or highly allergic, have a test first. The great news is that there are no negative comments about this lotion. The only negative aspect, which can potentially mark is the price – comparing to similar products, it seems a bit higher to me. Read our Natural Vibrancy™ Body Lotion detailed review here. Another great feature is the product price – usually, similar products cost more. So you should consider carefully before buying it. 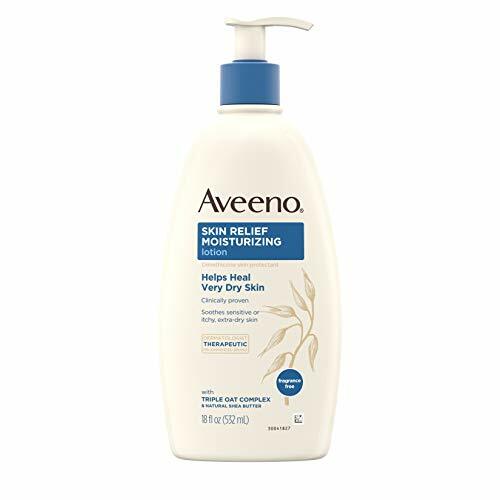 Read our AVEENO Skin Relief Lotion detailed review here. This product has an impressive number of reviews on the Internet, what is more than 80% of them are extremely positive. This is a remarkably popular product for skin calming. The most important you need to know about this formula is the fragrance-free and clinically proven to last 24 hours from a single application. The containing ingredients do not irritate the skin. Bad reviews about the product inform about oily residue some clients experience on their skin after application. 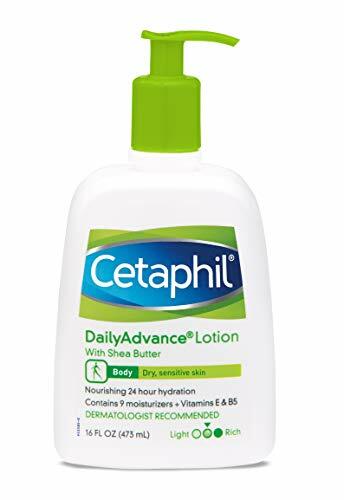 Read our Cetaphil Daily Advance Lotion detailed review here. Daily Moisture Body Lotion For Sensitive, Dry Skin, 16 Fl. Oz. 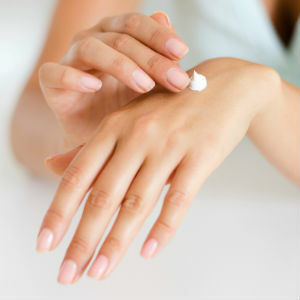 Body lotion with Vitamin B5 and skin-essential moisturizers helps improve skins moisture barrier. The formula does not have a large number of reviews but the ones that are available claim that the product provides with immediate effect, moisturizes well and leaves a silky smooth feeling. In fact, more than 90% of all customers rated the product 5 star and left very positive comments about the effect they noticed. The capric triglyceride containing in the formula leaves a non-tacky and non-greasy film on the skin. What is more, the price of the lotion is absolutely affordable and the quantity of the product is very acceptable: 16Fl.oz. Finally, as you probably suspect, there are no negative comments regarding this formula. 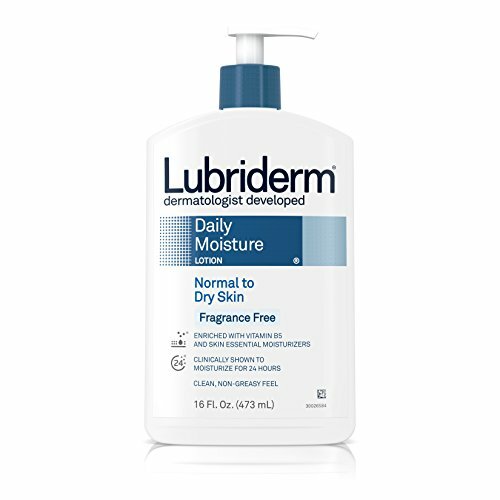 Read our Lubriderm Daily Moisture Body Lotion For Sensitive, Dry Skin detailed review here. Oil-Free Moisture Sensitive Skin, 4 Fl. Oz. This is a water-based moisturizer that helps provide gentle yet effective moisturization for the very sensitive skin. According to customer reviews, it does not leave residue on the skin and absorbs quickly into it. 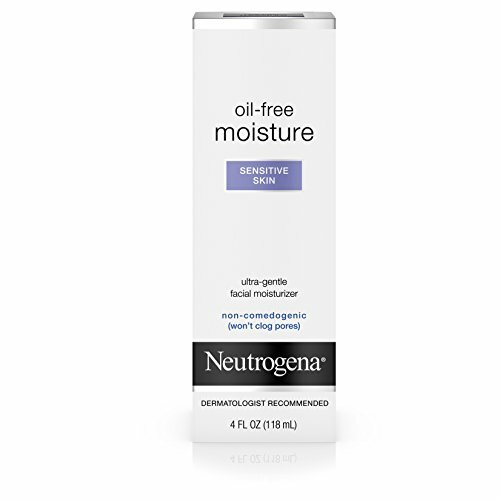 Read our Neutrogena Oil-Free Moisturizer detailed review here. Products that have proven the most suitable for sensitive skin treatment with all the important positive and negative features (based on customer reviews).